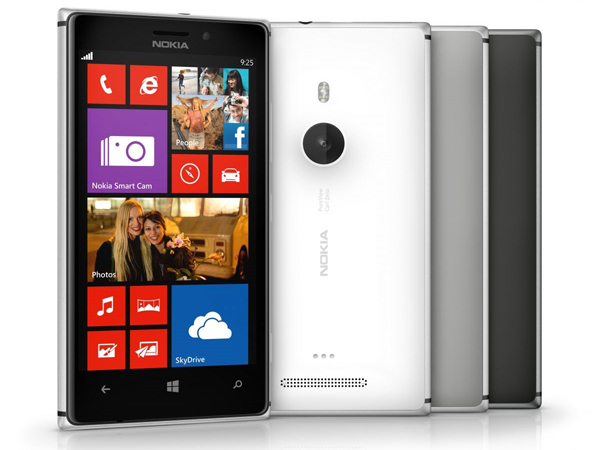 The new Nokia Lumia 925 isn't sporting the Xenon flash that we had hoped for. And no hotshoe either! It was with earnest anticipation that we awaited today’s Nokia Lumia smartphone announcement in London. Having seen the new Lumia 928 pop up in America sporting a Xenon flash, it was hoped that there would be a similar version (without the Verizon branding) coming to the UK. It was a bit of a let-down then, to see that the newly-unveiled Lumia 925, while widely available, is more like a dressed-up Lumia 920, adding some aluminium trim and an extra lens element (while taking away wireless charging). There’ll be no hope of freezing action shots or triggering slave flashes though, as the camera’s illuminator is just another LED lamp. Engadget has produced a comparison chart of the Lumia 920, 925 and 928 to highlight the similarities and differences between each model. We had high expectations for a supposedly camera-centric device, considering Nokia’s past experience with the N8 and 808 PureView. There is currently no universally-available flagship smartphone packing a proper camera flash and no reliable way to trigger off-camera flash with one. For now, you can use flash off-camera easily or share & edit your photos quickly, but not both at the same time. There isn’t an app for that. So cameras aren’t obsolete just yet. Maybe we should all go out and get the Samsung NX300 instead. Shame it can’t make calls. For more information on lighting for your mobile snapper, have a look at our guide to LED cameraphone lighting.